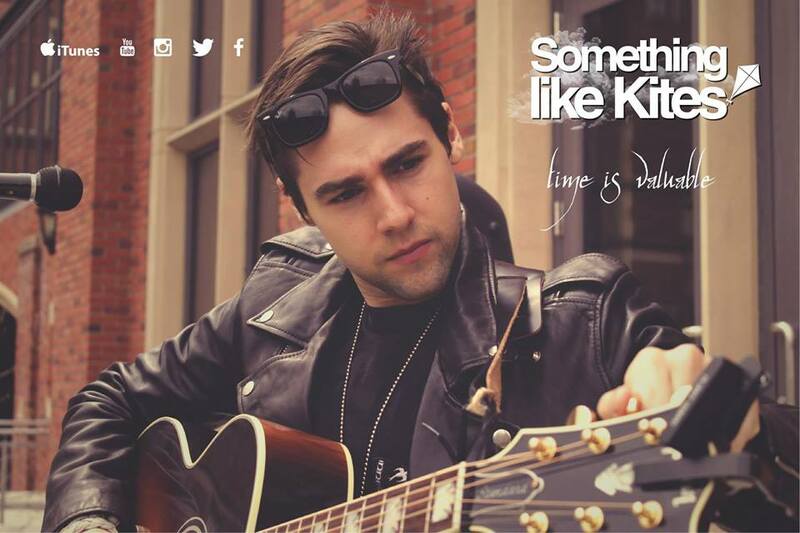 Something Like Kites is an unsigned Alternative-Pop group from my dream of a country in love with ice hockey, coldness and being polite; I speak of Canada. The group has released three albums and have already played numerous shows, but they sure do deserve more listens. The wide appeal of some of their tracks is definitely most notable. What I love about Something Like Kites is that I feel like I could show anyone their music. My favorite song that I would share would definitely be I Would, which I will leave below. Other favorites include In Your Arms, Smile, and Do You Remember. The lyricism is often superb, though many times feels as though the words are crushed into the music and move too quickly. That is why a couple of my favorites are slowed-down, including I Would. The editing over the vocals can be a bit tedious, especially when the music unedited sounds better. However, the music is catchy and has a wide appeal. You could enjoy the sound of RnB, Rock, or even pee hitting a urinal and probably still enjoy Something Like Kites. Then again, that is the general role of Pop music. Overall, I would rate the group’s sound at 8.5/10. I hope to hear more of the pure vocals of the lead singer, and lyrics slowed down a bit. Otherwise, most of the songs are catchy and fun to listen to. This group resembles Owl City without EDM. You can check out the songs I like below, along with the group’s official YouTube channel here. UPDATE: I found out that Something Like Kite’s new album just released a couple of days ago, so I believe this is their fourth album. Therefore I was wrong when I said “three albums” above. I just wrote about Owl City’s recent release, Tokyo, which was released shortly after this song I am recommending, You’re Not Alone. While I enjoy listening to Tokyo more than this song, I am thoroughly impressed in Adam Young’s message through the song. The track explains that one is not alone during troubling times, and while I believe in God, you can interpret that as you would like. Either way it is refreshing in the usual break-up/sad song sound, which is often revengeful and spiteful. I also really like the pure vocals of both singers. So I like Owl City, and have since Fireflies. That was one of my first favorite modern pop songs, so Adam Young has a special place in music for me. This one just released today but I figured since I already did a “Hear It First” today, I would also write about and recommend this one, as I actually really like it. So this is kind of both. Tokyo explains Adam Young’s content for the Japanese city and the emotions that it inspires, mainly love. The beginning is basically the same as his Good Time verse with different lyrics, but at least he chose that song to recycle. The rest is very original and is very catchy. Overall, I would rate the song at about 9.5/10. Beat and its drop are great, Adam Young is vocally sound and the track is solid but may not appeal to everyone. I could see it being a big song though, so I guess technically this is like a “Hear It First” if you want to consider it that.